Taken in Mills Canyon in Northeastern New Mexico. What a cool picture. Amazing that no one has vandalized it and knocked the door frame down. That is beautiful country! @stownsend It is a beautiful canyon. I will take you down there when you come visit. Nice find in a beautiful spot! 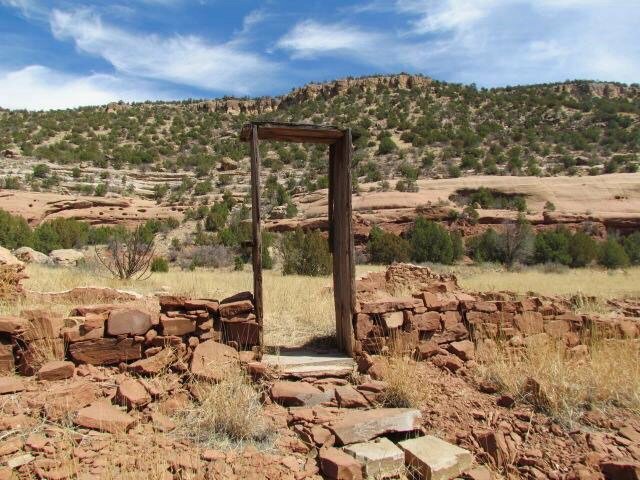 This picture talks to me, as my wife and I have hiked quite a lot in NM when we were able to, but not in this place. I just looked at it on the Internet, and it looks like a hiker's paradise.